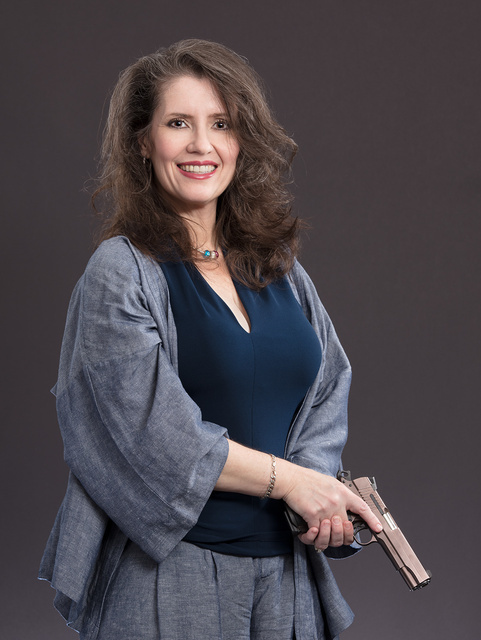 Writer Monalisa Foster with her .45 Sig Spartan. Professional make-up by Paula Petry. This entry was posted in interesting people, pistol, portrait and tagged 45ACP, M1911. Bookmark the permalink. Nothing more attractive than a well-armed comely lady. She is absolutely lovely, and apparently has the heart of a warrior. Am I the only one who thinks she brings to mind Lagertha from Vikings?